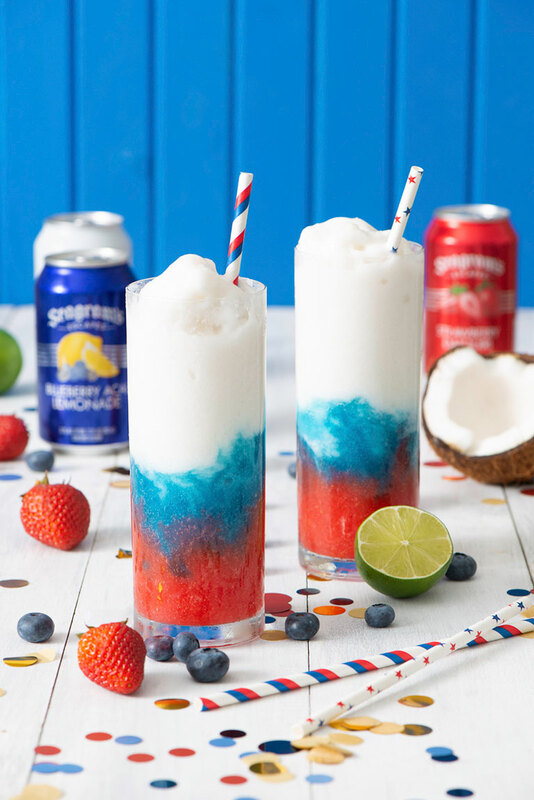 This festive red, white and blue frosty cocktail is perfect for celebrating the Fourth of July holiday. 1. In blender, crush Blueberry Acai Lemonade, blue food coloring and 2 cups ice cubes until slushy. Divide among 4 glasses. 2. Rinse blender. 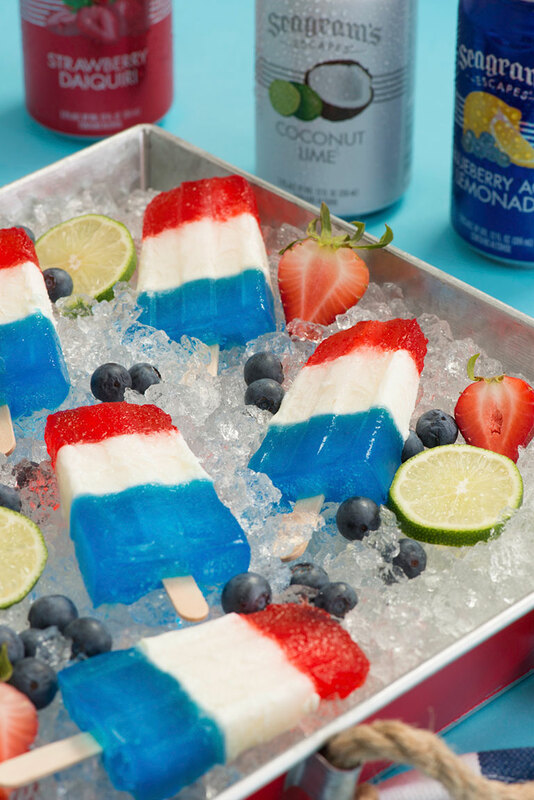 Crush Coconut Lime, coconut milk and 2 cups ice cubes until slushy. Spoon over blue layer. 3. Rinse blender. 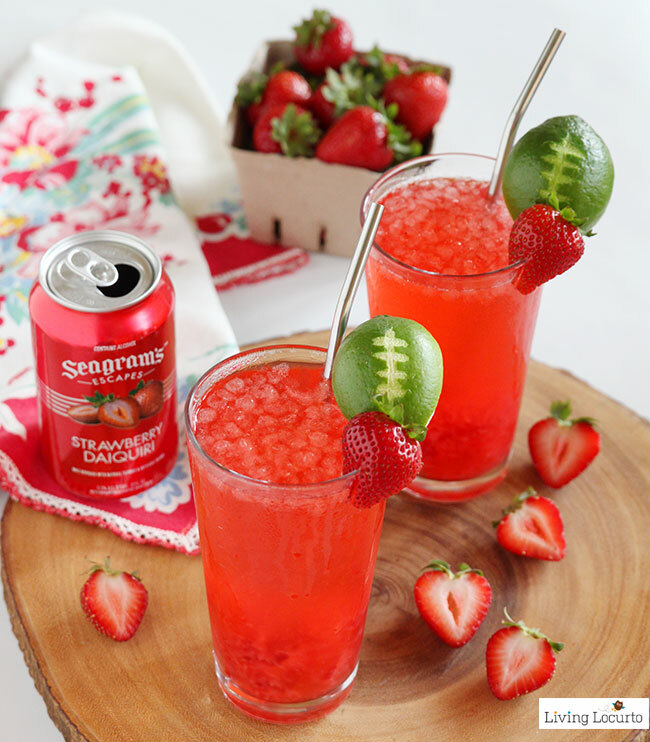 Crush Strawberry Daiquiri, frozen strawberries and remaining ice cubes until slushy. Spoon over white layer. Serve immediately. 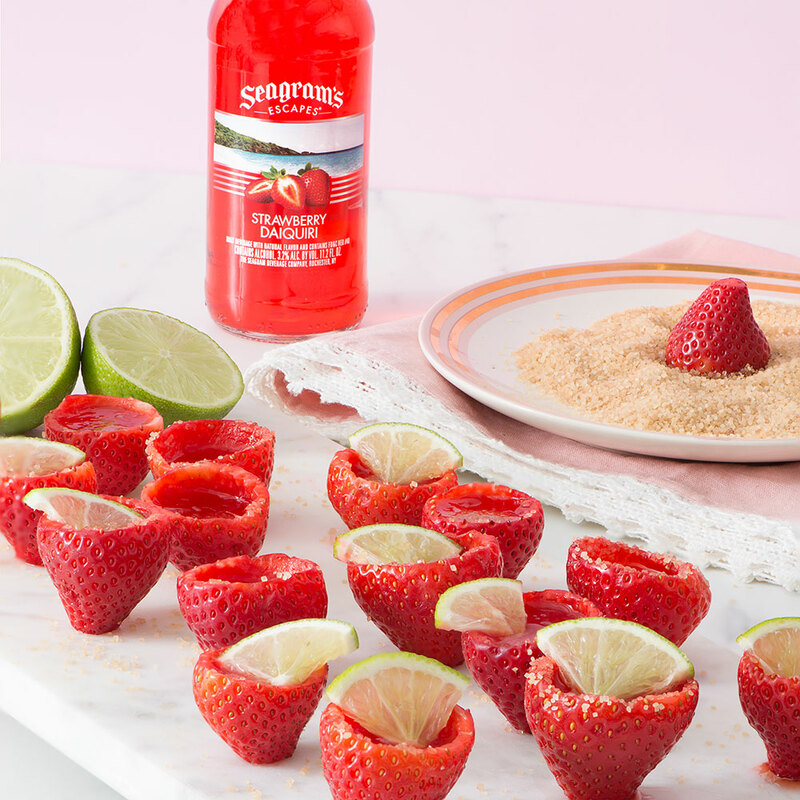 Spike each layer with 1 to 2 oz of vodka if desired. 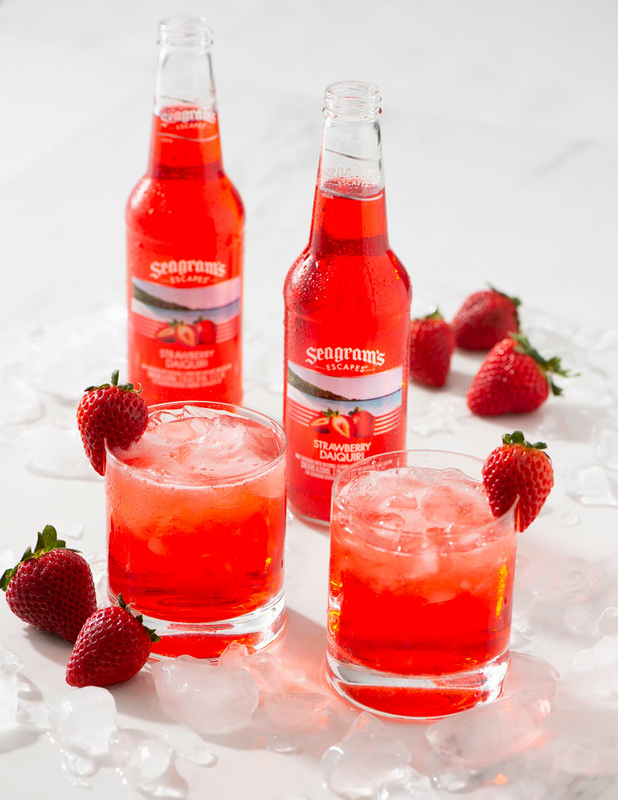 Seagram’s Black Cherry Fizz, Ruby Red Crush or Sangria can be substituted for Seagram’s Strawberry Daiquiri. 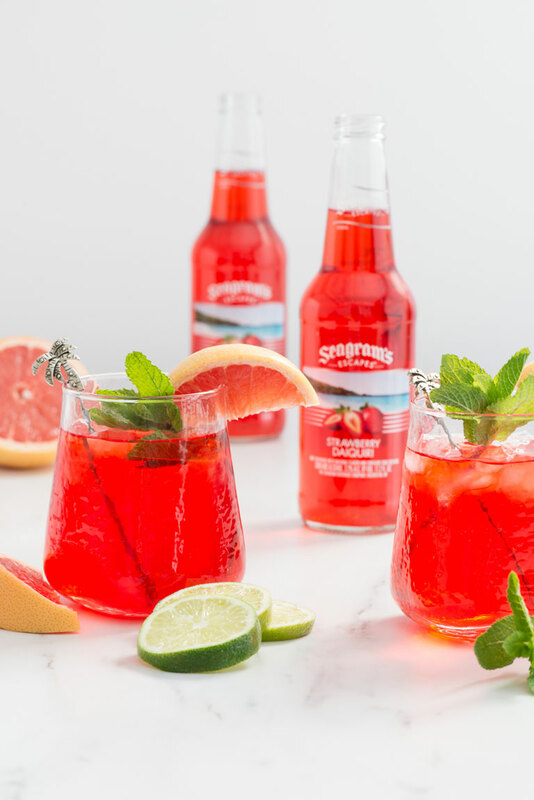 Seagram’s Calypso Colada can be substituted for Seagram’s Blueberry Acai Lemonade.